Anticoagulant rodenticides have been detected in many species of wildlife worldwide; yet the origins, exposure pathways, and effects of these exposures are not well understood. The origins of these rodenticide exposures from point of application to point of acquisition are being studied by a collaborative group from the University of California Agriculture and Natural Resources and California State University, Fullerton. Second generation anticoagulant rodenticides (SGAR) are important public health tools used for the quick and effective knockdown of rodent infestations in urban areas. Unfortunately, SGARs are regularly detected in many species of wildlife, perhaps because top-level carnivores and birds of prey are thought to prey on rodents that have been exposed to these rodenticides. However, while urban carnivores like coyotes are often found (postmortem) to have been exposed to both first generation anticoagulant rodenticides and SGARs, they are not known to consume rats and mice in large quantities. To determine what coyotes eat and potential sources of rodenticide exposure, the research group is investigating the stomach contents of urban coyotes in southern California. While the study is only one third complete, stomach content observations have already revealed that coyotes consume more cats than rats, and their preferred mammalian food source is, in fact, rabbit. 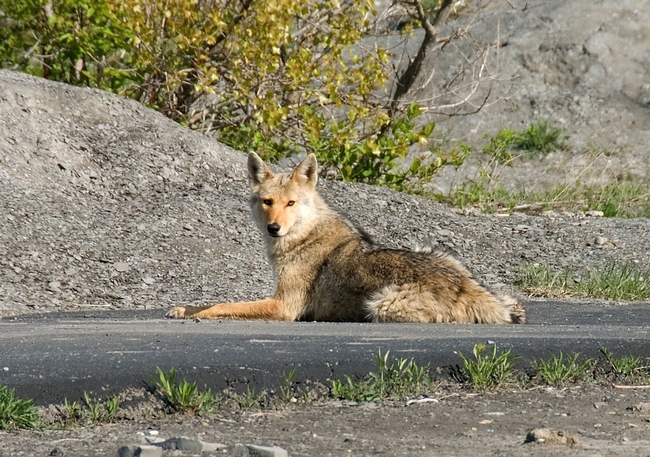 The study will continue until the contents of 300 urban coyote stomachs have been examined. The research group will also determine what mammalian species are in the stomach by doing molecular analyses. The group hopes that once they have a clear and accurate picture of the diet of this urban carnivore in southern CA, they will have a better idea about potential sources of rodenticide exposure. 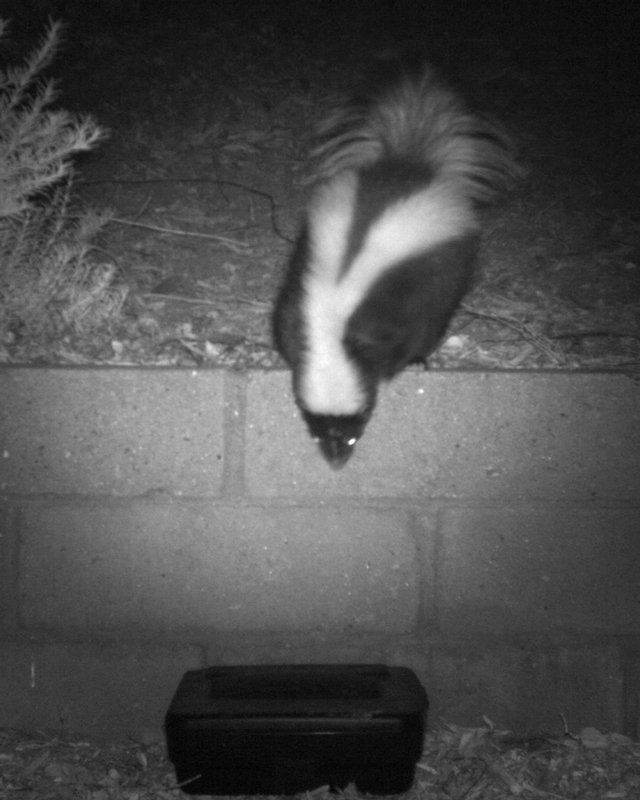 The research group is also investigating how animals interact with nontoxic bait stations in the backyards of Orange County urban residents. With the help of the UC Master Gardeners of Orange County, the research group will examine whether the animals access the bait or physically interact with a bait station in a way that may cause the bait to become dislodged as well as other potential exposure issues. The study is still in its infancy, however, and many animals ranging from mice to bobcats have been detected already. Despite the range of stations visitors, the only animals so far observed to enter bait stations to access the nontoxic bait were rats and mice. Within urban pest management programs, it is crucial that we determine the potential routes of wildlife exposure to pesticides so that public health can be protected while limiting negative impacts on the environment.